What happens when children learn about Saint Nicolas? A 10-year-old kid was asking me about Santa in front of his dad the other day. The father is agnostic, and I’m atheist, so this was an uncomfortable conversation for both of the adults. I politely told the boy that I don’t get presents from Santa because I don’t believe in god. The boy, whose mother is devout, chirped “Santa proves god is real because without god there can’t be any magic.” I bit my tongue, alongside the father, not wishing to feel his mother’s wrath. On my other blog, I previously wrote about how learning that Santa was fake is what really secured my spot on a path towards atheism. I’ll leave that discussion on that post and move on to something else that I saw in the news today. A vicar with the Church of England was slated to give a sermon to a room filled with young children. When technical problems occurred, he couldn’t give his planned speech and opted to speak from his heart instead. He told the kids that Santa wasn’t real, but instead was based on a man who brought back to life three young boys who had been butchered for food. Naturally, the children were upset and so were the parents. What is uncertain is whether the parents were upset more by the gory details or by a Church official spilling the beans that Santa is a myth. While the vicar substituted one myth for another, at least the Saint Nicolas myth of resurrecting three hacked up corpses is part of church canon. But the Santa myth is merely a story that–at best–is meant to entertain children, and–at worst–meant to indoctrinate them (see opening paragraph). I believe honesty goes a long way towards building a relationship. It’s better for parents to tell children the truth about Santa than it is to lie to them, potentially breaking their hearts when the truth inevitably comes to light. I’m not sure if that’s the job of the Church of England or not, but parents should take a cue from this vicar. I’m curious. 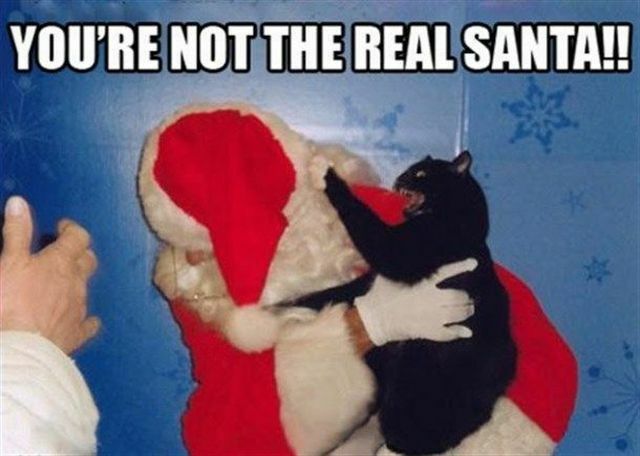 Do you feel that the Santa myth is harmless? Or should children be raised without this myth? This entry was posted in Atheism and tagged Atheism, children, Christianity, Christmas, Church of England, God, Santa Claus. Bookmark the permalink.